Using drones with modal music??? I tried--very briefly--playing along with a drone some while back, and was pretty much underwhelmed. I tried again yesterday, and WOW! it made note-finding SO much easier! Refined or even revised my idea of what I was aiming at almost IMMEDIATELY! I am very sold on drones! Except: a couple of the tunes I am working on are ... well, they have the notes of a D major scale (the tunes for my class are, so far, all in and/or treatable as D), but they start and end elsewhere. Near as I can parse the situation, they are in other modes. I know there are modes where the tonic is in the middle rather than at the bottom of the melody line, and D is rather prominent in the middles of 4 phrases out of 8. But the other 4 phrases do not contain any D at all! So far, I've tried playing it with drones on D, A, and E. There seems to be a little more "guidance" using the D drone, but very VERY much less than I've found with other tunes. Technically everything works with any drone. Once you learn to listen to the actual intervals it doesn't matter what the initial drone is you'll be able to find your note. Same way a well trained choir conductor can queue in (sing the starting note so each section knows where to start) 4 different sections one after the other just by listening to an A on a tuning fork at a practice session. What you're doing is more along the lines of trying to listen for the regular chords, since those intervals sound more perfect to us 'regular' people.. So that's pretty much thirds and fifths of the scale. So for example if you play a D drone, without much training, you'll probably be able to perfectly match an F# and an A to it (and of course the octave).. afterwards the next one you'll remember will probably be fourths and sixths.. (you try to aim for that Gregorian music sound and it should be there).. etc..
Also, not sure if those tunes you have there are actually in different modes.. they could simply be in another key than D, but have a few accidentals for certain notes, which would make it have identical notes as the D major scale, but still be in a different key.. It makes more sense that way since an accidental kinda forces a really fast key change and back again, which would totally mess with your ears if you were to be listening to a drone that isn't part of the new temporary key. 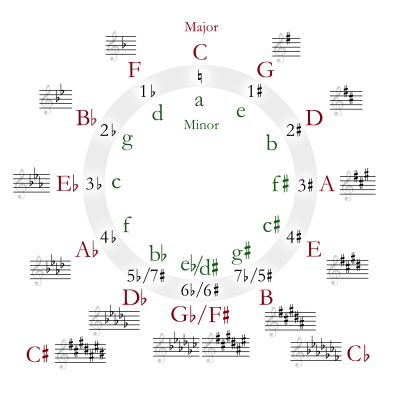 Anyway, circle of fifths helps in determining the key of most songs.. you simply look at the key signature at the beginning (how many sharps or how many flats) and then look at the ending note, since most songs will end on the note of the key.. If it doesn't end on it and there is no key-change.. you still only have 2 options.. so you can figure it out based on the rest of the notes or the general sounding of it since one of the possibilities is a major the other one is a minor..
For specific examples.. I don't know any of the songs you listed.. but the ones ending on G or E could be G major or E minor with an accidental sharp on the C making it have identical notes to the D major scale while still being in a different key. Wikipedia says "Old Joe Clark" is Mixolydian mode, see https://en.wikipedia.org/wiki/Old_Joe_Clark. Bufcansko fits the pattern of whole and half steps I understand as Dorian--with an extra note on the 7th before the tonic, i.e. all white keys on the piano--but the melody is from D to D. (I've been playing it higher, from E to E using the notes of D major, saying that E is the tonic.) Traditional placement of a drone on the note I am identifying as tonic is a clue, also. American folk music (which largely derives from folk musics of the British Isles) and eastern European folk music(s) commonly use modes, there is no reason to assume that the major or minor "modes" are a lot more likely than the others for this repertoire. Yes, there's lots to music theory. Some of it I know, some of it I don't (yet). Just trying to make sense of why I find myself fabulously helped by drones on most tunes, not so much on others. What note are you starting "Old Joe Clark" on? Open A? @Martha, I did some experimenting, and found that starting on A gave me a C major scale (G mixolydian). Problem is, no one note is used so much in so many ways that having a drone for it helps a lot. Pretty much every note in the C scale worked tolerably, but none worked especially well. So I went looking for chord drones, and actually found some fairly good ones. Go to Youtube and search for "munsonjamtracks drone". He has fairly long drones of a large number of chords. (No modes identified, though, so you'll have to translate whatever Mixolydian key Old Joe Clark is in to it's corresponding major. A few of the less common ones (like Ddim or Faug) may fit your needs better, but I'm a lightweight when it comes to music theory, so I'm not going to try giving advice there. OK, here's what I've sorted out so far. (1) Any note you play with any drone is going to be near one of those good or good-ish ratios. The drone will help you zero in on the ratio. (3) These ratios are not, however, the intervals of equal temperament. And some intervals have multiple good-ish ratios clustered around them. Even so, the drone will get you close-ish, and train you to listen (!!! ), and will get you to something that sounds good, even if not exactly equal temperament. Maybe that sounds better than equal temperament, which is after all a compromise. (4) Of course, the "good" ratios that go with other keys might be farther off from the "good" ratio of the song's real key, and sound worse than equal temperament... so, don't use drones that sound bad with your tune. (5) The fiddle has a "built in drone" feature if you play neighboring open string along with your note (potentially putting Fiddlerman's generously provided drones out of business??). I had ignored this, except for checking the 3rd finger note, until yesterday--pretty cool!